Home Blog Leasing Can Computer Leasing be Flexible in Ireland? Can Computer Leasing be Flexible in Ireland? We’re often asked about the flexibility of leasing in Ireland, and potential customers are often under the impression that leasing is inflexible and they will be tied into long contracts whilst their equipment becomes obsolete and old. We always tell them that leasing IT equipment is as simple as getting your mobile phone contract, they work in just the same way. Here at HardSoft, we are the pioneers of the ‘Flexi-Lease’, so the clue is in the name. 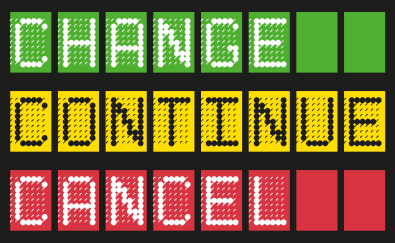 This scheme for businesses is simple and incredibly flexible, we call it Change, Continue, Cancel. All of our customers are offered guaranteed ownership of their equipment at the end of their lease term for just €1, but they can also choose to continue with a new lease once they reach the halfway point of their lease, upgrading their equipment at the same time, allowing them to have the latest and most up to date kit. Cancel – you might find that after 3 years you’re still happy with your equipment, and regardless of there being more up to date and sleeker looking versions available, you’re happy to stick with what you have. If this is the case, you can purchase the device for just €50.00 and take ownership so it’s all yours to keep. Customer A had a high spec PC laptop and was paying €25.95 per week. They decided to keep the laptop and also change to two new 27″ iMacs with 5K Retina with a new weekly payment of €64.60. Customer B had a 13″ MacBook Pro, paying €13.60 per week, and decided to keep them and add a Dell XPS 8930 Desktop, an HP 290G1 Desktop and a 22” LED Display for a new weekly payment of €22.65. This worked out at just €1.20 extra per week compared to a new lease, saving the customer over €300.00. Each HardSoft Flexi-Lease is covered by three years free warranty and telephone technical support. This warranty is inclusive of all parts and labour. If your machine is faulty we offer, at no extra cost, a ‘Collect and Return’ service; whereby our courier will be sent in the next day after reporting a fault and will return this to us for repair. Also included is telephone support and we offer a remote diagnosis and fault repair service. For more information about our flexible leases, get in touch with our sales team on 01 4853026 or email sales@hardsoft.ie.